Leaving to Firenze tomorrow guys! I can't believe Summer is already gone, and with that, the internship at the studio, the weekends spent at the beach, the goodbyes. Oh gosh, I'm a tough girl and known to be quite reluctant to exteriorize my feelings, but I never thought it was going to be so hard to manage goodbyes to family and close friends. And I'm presumably coming back home for Christmas! Anyway, it's all fine, I'm super excited to get there, start living on my own at the rented flat downtown, finish all the paperwork that needs to be done, and start knowing more about Italian culture and lifestyle. So, you might be wondering how the preparations for a year studying abroad have gone so far, and why I've been away from the blog (and almost all social media channels) for almost a week and a half. I landed home again after being totally away for a couple of months due to the Summer internship in town, which felt super awkward (believe me when I say I didn't remember properly where some things were stored at home) to be received by a huge empty suitcase that needed to be filled as soon as possible. Plus, dealing with another large suitcase filled with Summer work outfits and stuff that needed to be washed, organized and put back into place. Plus, paperwork and stuff that needed to be done in the city prior to leaving the country. That translates into two weeks of non-stop running from one place to another to get all done in time. Are you traveling solo, or getting to your destination by your own? If so, don't you think about embarking a huge suitcase and a taking a cabin carry-on. Will you be carrying all those things by your own, probably late in the evening, once arriving at a place you might not know at all? (Or even better when dealing with transfers). Instead, embark all your stuff in your luggage and get a cabin-sized bag which you can wear on your shoulders as a backpack. Are you flying to an airport which is not in your town of destination? Are there any buses, trains or transfer at your arrival time? What do you do if your luggage gets lost or your flight delayed? Gather some information which might be useful once you arrive to your abroad destination (like complaint and information numbers, etc), and get ready for the worst situations. Even if they might not happen at all. Prevention is better than cure! Back to when I went to Boston, due to flight connections in Madrid, my luggage got delayed a couple of days. Fortunately, that happened on my way back home, and not in my way to the US, as that could have caused a massive situation in my 17 year-old-self. Once that happened, I learned the hard way to always put in my cabin bag a couple of clothing changes, my most valued items (laptop, camera, tablet) and to pack inside the carry-on a little purse for the ID's, passport, money and phone. For Firenze, I'm also carrying a set of bedsheets just in case the first night on our new home away from home things are a bit, let's say, nasty. And I think that's pretty much for today's post! How about you, what are your traveling tips? What do you think you would do if you went abroad to study? 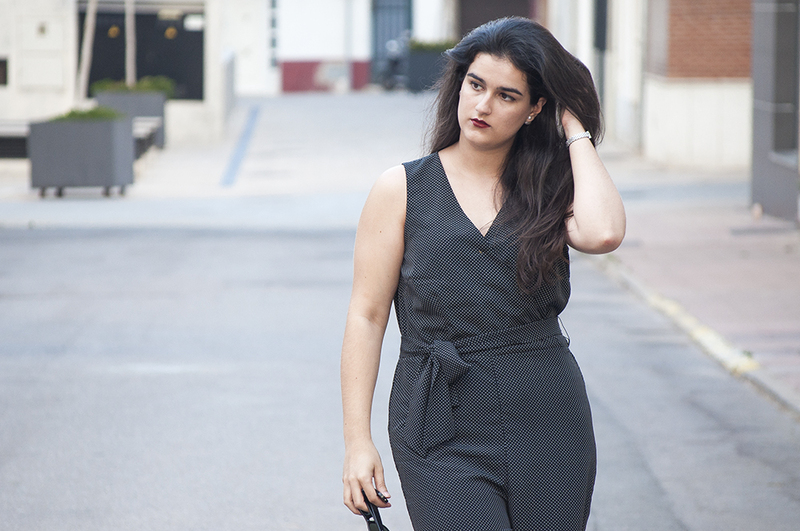 Love the jumpsuit and you are going to have an amazing time over there!